photo courtesy ZooMed Welcome to kingsnake.com's Medication and Supplements Classifieds. This section is for posting wanted and for sale ads, for all reptile and amphibian medications, vitamins, supplements, and other health products. If you are looking for, or want to post advertisements for reptiles, amphibians. supplies, or accessories, please review our classified index for the appropriate category. Keeping reptiles and amphibians in captivity sometimes requires the introduction of vitamins and supplements to replace nutrients missing from the captive diet or to replace vitamins lost due to lack of natural sunlight. 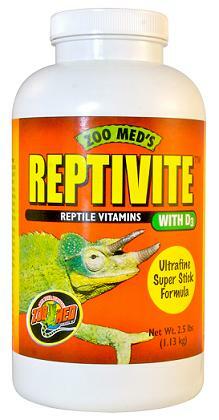 Reptiles also need a variety of medications to treat a variety of ilnesses and conditions. For questions on keeping or breeding Reptiles and Amphibians please check out the Forums, or to look at photos uploaded by users or to upload your own, check out the Cages & Terrarium Photo Gallery.